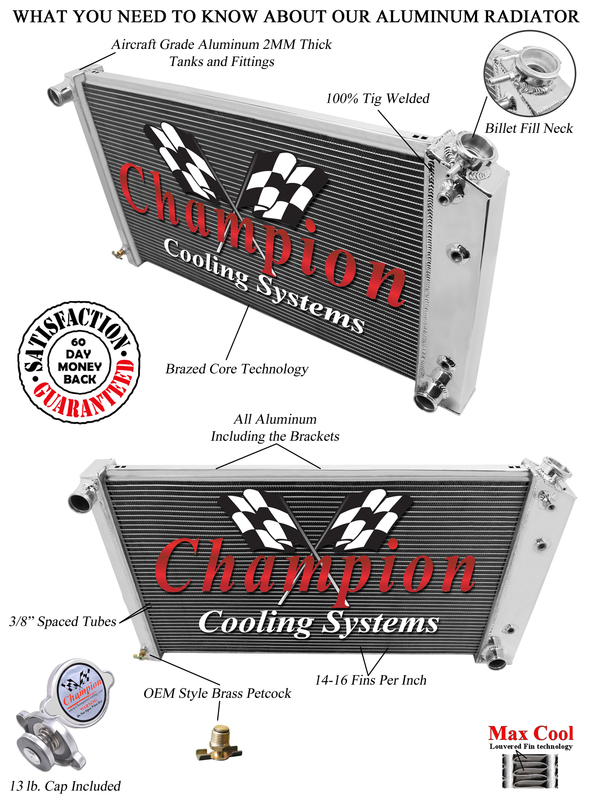 Click the button below to add the 1967 1968 1969 1970 1971 Oldsmobile Cutlass Radiator 3 Row Radiator + Fans to your wish list. You will not find a better guarantee anywhere on eBay! This was one great experience. The radiator fit perfectly with no modifications. The shipping was fast. I would highly recomend Performance cooling and this radiator.